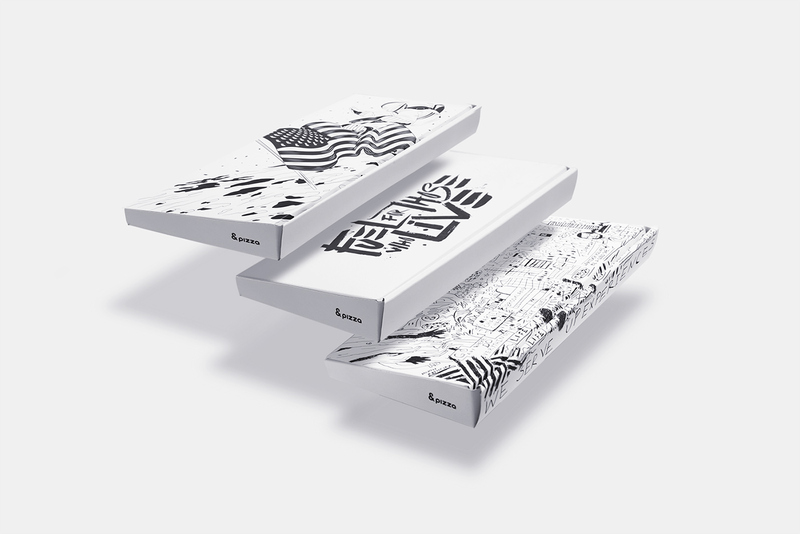 &Pizza is a packaging design and illustration project created by Futura for a Washington DC based chain restaurant famous for their crafted pizza, and for their retribution to society. The challenge presented to Futura was to come up with a series of designs celebrating individuality and freedom. 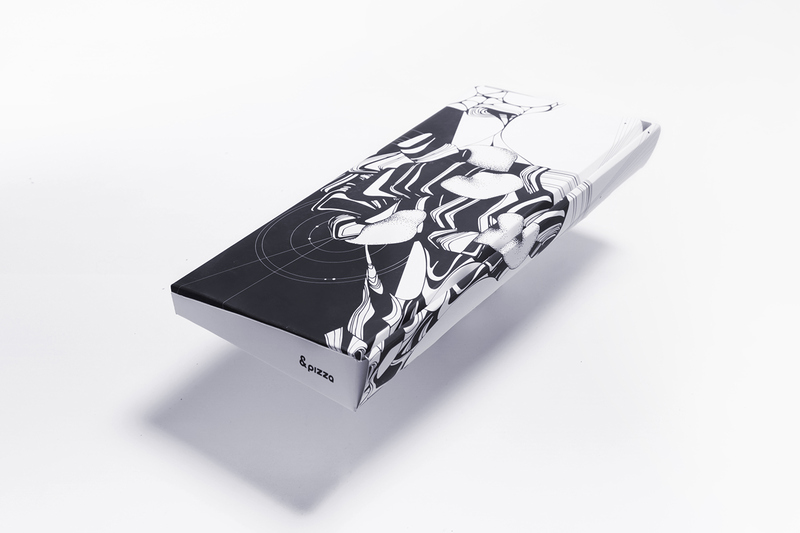 The result is a beautiful set of simple black and white illustrations for the pizza boxes as well as labels for bottles. Take a look after the break and let us know what you think.